It’s time to update that headshot. 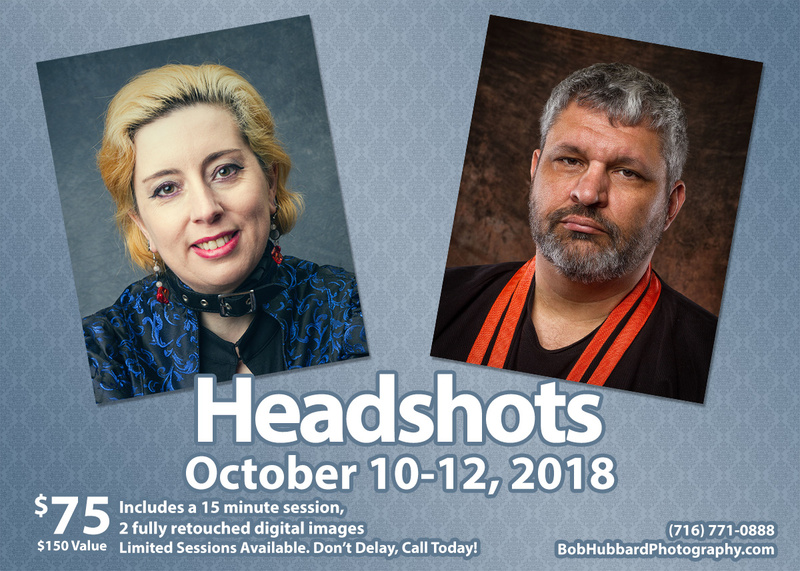 In todays high speed internet connected world, having a great professional headshot is essential. It’s the first impression a potential customer, client, vendor or employer can have of you. It’s your face to the world. Simply put, a professional headshot makes your web presence look more professional. Shouldn’t you have one that shows you at your very best? I’m offering a limited time special to so you can update your look today. For only $75 (Regularly $150), you receive a 15 minute personal session, and 2 edited images. You will get both high-resolution and web-resolution copies of your images so your photos can be used for both print and online. Offer is only good October 10-12 2018. (716) 771-0888, email [email protected] or message me here.